Due to the quantity of mounts involved, I decided that cutting my own would take too long (it’s a laborious task) , so I decided to buy pre-cut mounts. I meant to order single mounts but as I was in a hurry to order them (during a 5 minute lunch break between meetings….) I ended up ordering double mounts. I thought they were expensive, and noticed that for some inexplicable reason, the website had automatically added backing boards and bags, so by the time I’d deleted them the price had halved and I pressed ‘buy’ without realising I could have paid even less! Act in haste, repent at leisure? Actually no (apart from the cost). 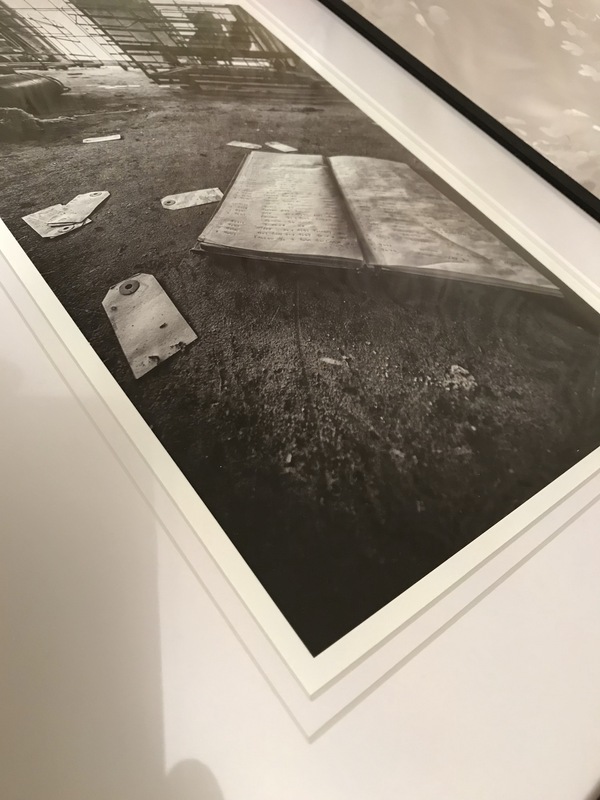 The double mounts look brilliant, they really set the prints off, especially as I’ve printed slightly smaller and left a 5mm border round the prints giving them a really crisp look. I pondered printing the image smaller still and writing a title by hand underneath but I couldn’t be bothered making (or ordering) custom mounts. I’ve had to cut my own mounts for the bigger images, purely on cost grounds as 4 custom sized mounts would have been excessively expensive. I managed to buy some giant mount board from a local framer and cut these down to size then did the maths to work out the size needed for a window with gap round the image (easier said than done). Framing was thereafter a simple task of popping the mounted images into a frame. 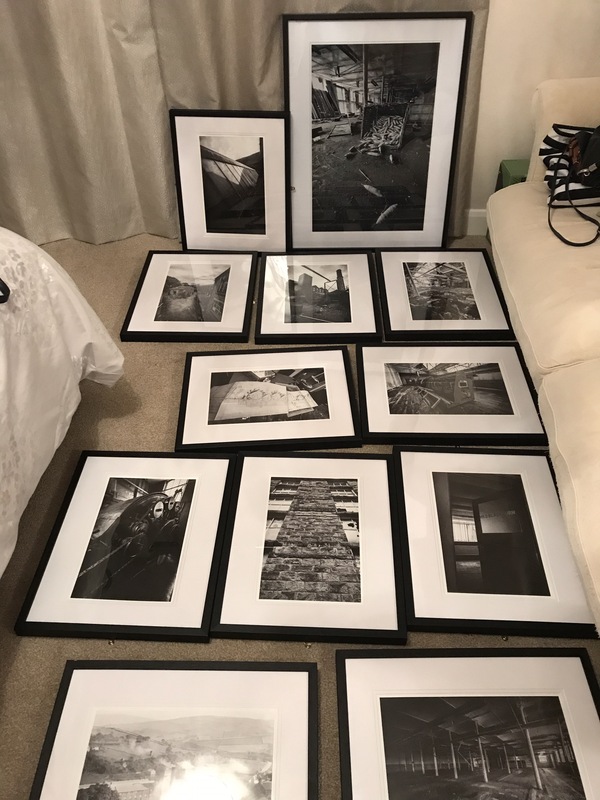 I already had 20 frames from my previous three exhibitions, and over several months had been buying the four big 80×60 cm frames from Hobbycraft. Given the large wallspace at the gallery, I decided that I needed a few more smaller frames so I took some 40x50cm frames off my wall and used them. As these were Hobbycraft ones, they match the 80×60 frames, but for some reason are 2mm smaller on each edge than my other frames so required some careful trimming of the mounts. And so I now have a huge stack of mounted, framed prints on my floor! Next Post #481 – A new look to the blog!